The molecular mechanism responsible for degenerative process in the nigrostriatal dopaminergic system in Parkinson’s disease (PD) remains unknown. One major advance in this field has been the discovery of several genes associated to familial PD, including alpha synuclein, parkin, LRRK2, etc., thereby providing important insight toward basic research approaches. There is an consensus in neurodegenerative research that mitochon dria dysfunction, protein degradation dysfunction, aggregation of alpha synuclein to neurotoxic oligomers, oxidative and endoplasmic reticulum stress, and neuroinflammation are involved in degeneration of the neuromelanin-containing dopaminergic neurons that are lost in the disease. An update of the mechanisms relating to neurotoxins that are used to produce preclinical models of Parkinson´s disease is presented. 6-Hydroxydopamine, 1-methyl-4-phenyl-1,2,3,6-tetrahydropyridine, and rotenone have been the most wisely used neurotoxins to delve into mechanisms involved in the loss of dopaminergic neurons containing neuromelanin. 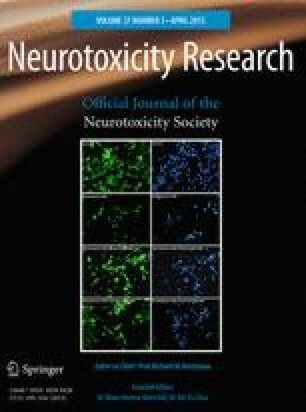 Neurotoxins generated from dopamine oxidation during neuromelanin formation are likewise reviewed, as this pathway replicates neurotoxin-induced cellular oxidative stress, inactivation of key proteins related to mitochondria and protein degradation dysfunction, and formation of neurotoxic aggregates of alpha synuclein. This survey of neurotoxin modeling—highlighting newer technologies and implicating a variety of processes and pathways related to mechanisms attending PD—is focused on research studies from 2012 to 2014.